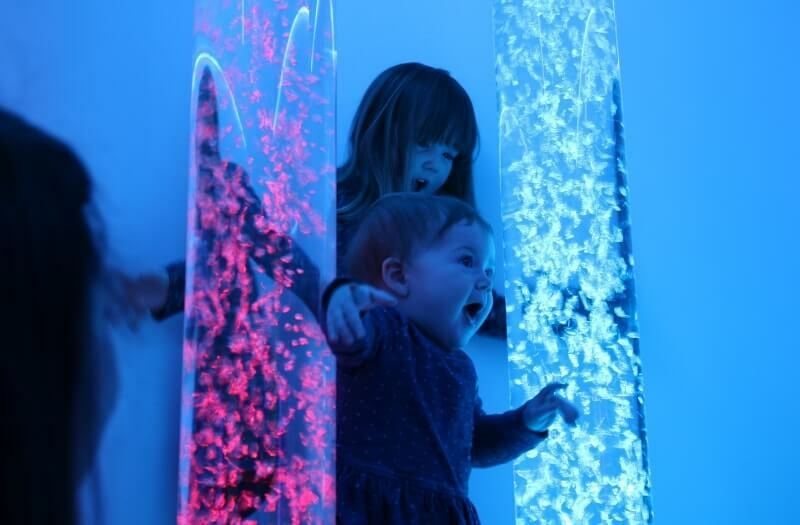 The DMX Bubble Tube is one of our most interactive smart bubble tubes available. 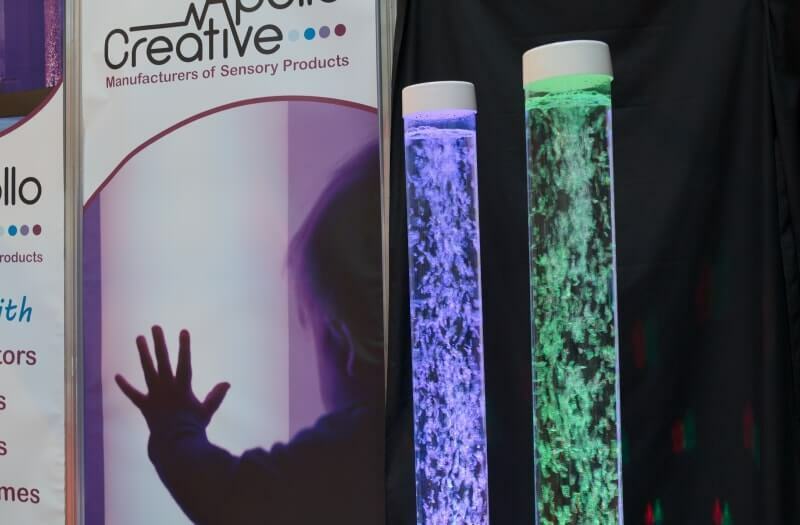 The DMX Bubble Tube works with DMX controllers that are available already on the market and gives you the ability to control colours, brightness, the pump and you can even mix colours. 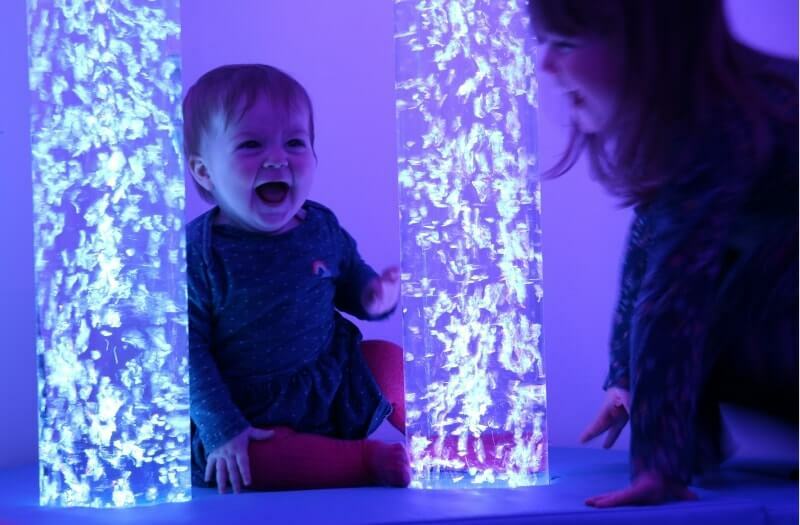 You can set up a fully bespoke sensory room where you can control every aspect of it from light to sounds. This is ideal for creating a spaces that suits the needs of different users. The DMX Bubble Tube works just like a regular bubble tube only it is programmable to work with your DMX requirements. 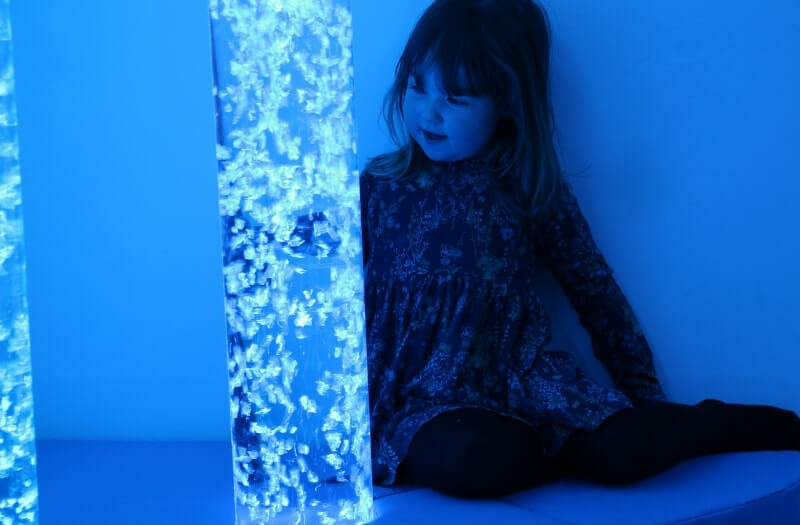 You can even use this tube alongside other DMX compatible equipment to promote cause & effect learning, stimulate the senses and help the user with visual tracking skills. 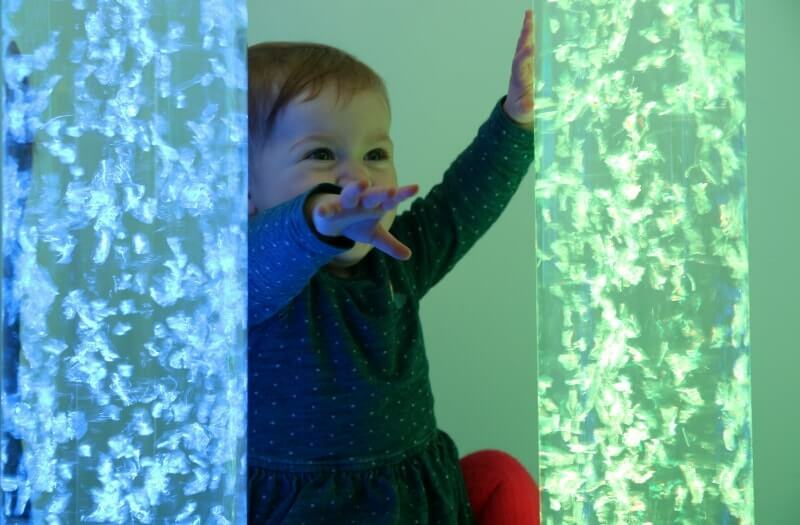 The DMX Bubble Tube can be used with DMX controllers to create your perfect bespoke sensory room.You can control different aspects of your Bubble Tube including control colours, brightness, the pump and it can even mix colours. 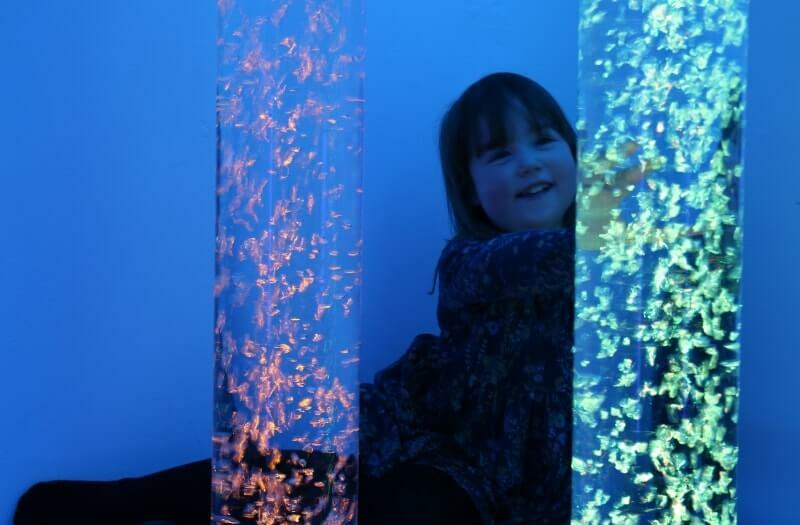 Synchronise the whole room together with other DMX compatible equipment to create sensory spaces that are out of this world. 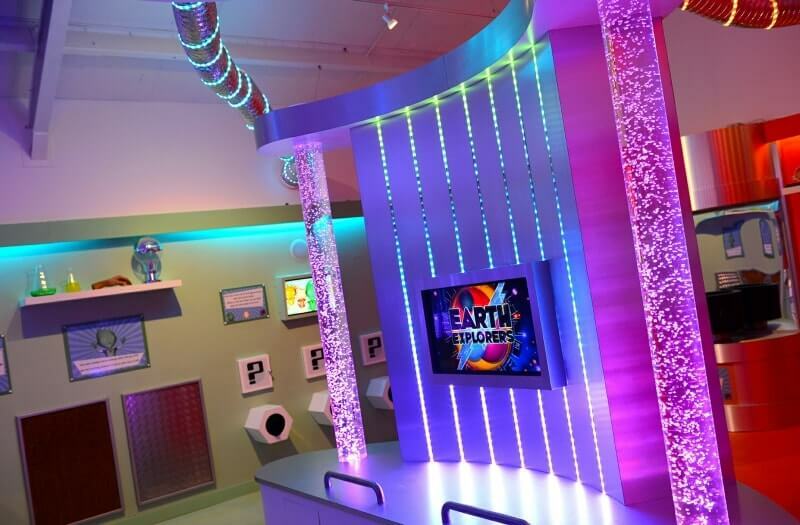 You can create themes for story time adventures by simply programming the lighting affects you desire. How often do the bubble tubes need its water changing? We recommend cleaning every 4 – 6 weeks. This may be shorter depending on the location if it in a dusty prone environment, for example. How do you use your drain kit? How much BCB fluid do you need to put into the water? And how often? BCB fluid should be added once a month. 20ml needs to be added for every metre of product length (for example a 2 metre Bubble Tube would require 40ml of BCB fluid). Further detailed instructions can be found on the back of the supplied BCB bottle. What is the length of the wall bracket from the wall? Maximum size of 50cm from the front of the acrylic tube to the wall. Can you have bubble tubes cut to any height? Yes, we do a standard size of 1M, 1.5M, 1.75M and 2M however if you require a specific height you need to keep in mind the 16cm required for the height of the base. For example, if your space was 200cm and you wanted to fit in a Bubble Tube at the height of 170cm exact. 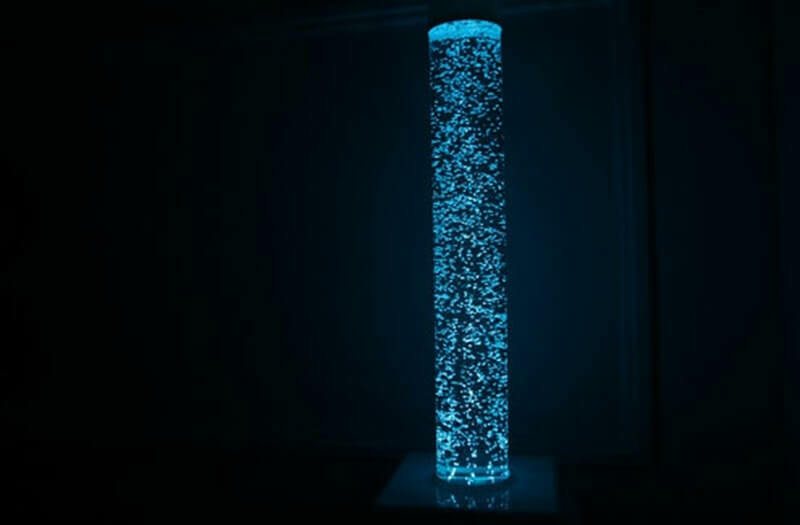 The height of the Bubble Tube itself would be 154cm you then add on the size of the base which is 16cm to give you an overall height of 170cm. Does the acrylic tube come away from the base? yes, there are 4 bolts that can be removed from the corner. This is only needs to be done if the base requires a new acrylic tube due to damage, refurbishment, maintenance etc. How heavy is the bubble tube without water? 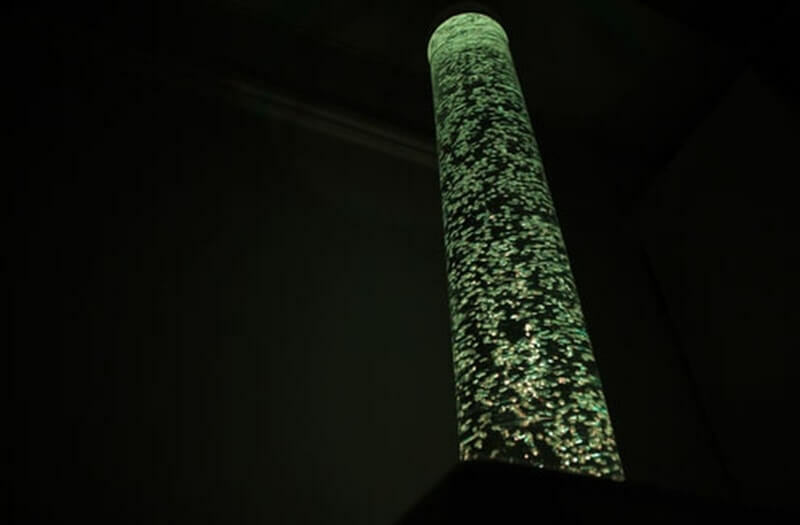 The bubble tube weighs approximately 5kg without water. What diameters are the bubble tubes available in? The most common diameter is 150mm, but we also provide 200mm diameter bubble tubes. Please state the diameter you require when placing an order. 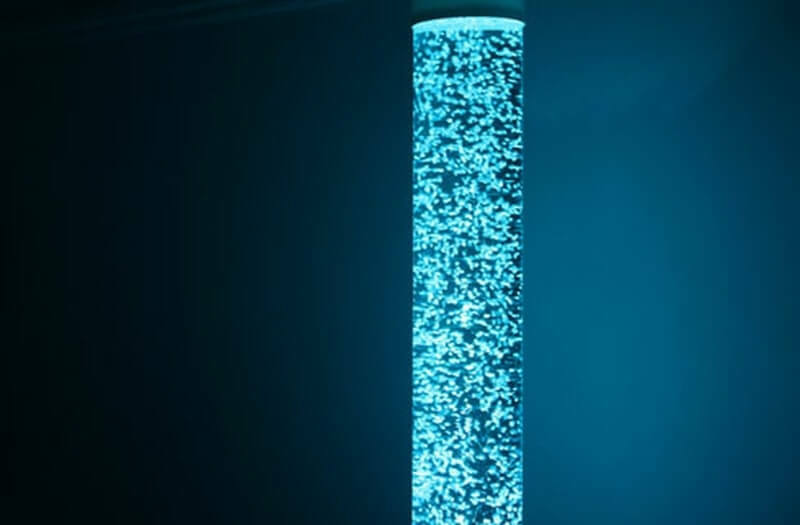 How much water does each height of bubble tube take?